Diverse physical functionalities may be incorporated into the molecule-based materials which are the special class of solid state systems made up of the molecular building blocks, including metal complexes and organic molecules. Taking advantage of the selection or preorganization of the specific molecular units, we are able to rationally design and synthesize molecular materials brining desired properties. Following this approach, a large family of functional molecular materials have been obtained, and they were shown to exhibit or even combine such physical functionalities as magnetic ordering, slow magnetic relaxation, spin transition phenomena, permanent porosity, photoluminescence, chirality, second harmonic generation, magneto-chiral dichroism, proton conductivity, ferroelectricity, zero-thermal expansion, and catalytic activity. Functional molecular materials are of a special interest as they are able to combine more than one of the above mentioned physical properties, which can lead to an unprecedented physical cross-effects, as exemplified by magnetically enhanced Magneto-Chiral Dichroism (MChD) [1Train, C.; Gheorghe, R.; Krstic, V.; Chamoreau, L.M. ; Ovanesyan, N.S. ; Rikken, G.L.J.A. ; Gruselle, M.; Verdaguer, M. Strong magneto-chiral dichroism in enantiopure chiral ferromagnets. Nat. Mater., 2008, 7, 729-734. ], or 90-degree photo-switching of second harmonic light [2Ohkoshi, S.; Takano, S.; Imoto, K.; Yoshikiyo, M.; Namai, A.; Tokoro, H. 90-degree optical switching of output second-harmonic light in chiral photomagnet. Nat. Photon., 2014, 8, 65-71.]. Functional molecular materials are also a great platform for the construction of molecular switches which magnetic, optical or electronic properties are sensitive to external stimuli, including light, electric field, temperature, pressure and guest molecules [3Sato, O. Dynamic molecular crystals with switchable physical properties. Nat. Chem., 2016, 8, 644-656.]. This mini-thematic issue contains the selected novel functional molecular materials showing specific physical properties designed by the precise choice of the starting molecular building blocks. This issue shows a small piece of the growing scientific area concerning chemistry and physics of functional molecular materials, and it is related to the 3rd International Conference on Functional Molecular Materials (FUNMAT2017), which was held in Kraków in 2017. 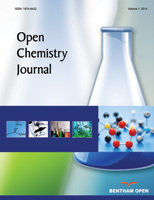 The topics collected in the issue are focused on three very different types of functional molecular materials: (1) the Fe(II) spin crossover complexes which were prepared using pre-designed Schiff-base like organic ligands with the support of additional 4,4’-bis(pyridyl)urea bridging molecules [4Zappe, L.; Lochenie, C.; Martin, T.; Weber, B. Iron(II) Spin Crossover Complexes with Schiff base-like Ligands and 4,4’-bis(pyridyl)urea. Open Chem. J., 2019, 6, 10-18. ], (2) the magnetic and porous molecular system based on dinuclear Cu(II) molecules bridged by pre-synthesized 3,4,5-tri-O-benzylgallate moieties [5Mikuriya, M.; Yamakawa, C.; Masuda, N.; Yoshioka, D.; Yamaguchi, S.; Yamada, H.; Mizuta, T.; Kawata, N.; Tanaka, H.; Handa, M. Dinuclear Copper(II) 3,4,5-Tri-O-benzylgallate. Open Chem. J., 2019, 6, 19-26. ], and (3) the hybrid functional magnetic materials consisting of oxygen molecules encapsulated into single-walled carbon nanotubes, and Cu(II) metal centers embedded in the phthalocyanine sheets [6Hagiwara, M.; Kida, T.; Matsuda, K.; Kyakuno, H.; Mniwa, Y.; Honda, Z.; Sakaguchi, Y.; Tashiro, M.; Sakai, M.; Fukuda, T.; Kamata, N.; Okunishi, K. Magnetic properties of one- and two-dimensional functional materials: Oxygen molecules encapsulated in single-walled carbon nanotubes and copper ions embedded into phthalocyanine sheets. Open Chem. J., 2019, 6, 27-37.]. These reports show the richness of chemistry of functional molecular materials which enable the rational design of specific physical properties by selecting the appropriate molecular building blocks. As guest editors, we would like to acknowledge all the contributors to this issue, and the reviewers who devoted their time to ensure the final quality of the included articles. Train, C.; Gheorghe, R.; Krstic, V.; Chamoreau, L.M. ; Ovanesyan, N.S. ; Rikken, G.L.J.A. ; Gruselle, M.; Verdaguer, M. Strong magneto-chiral dichroism in enantiopure chiral ferromagnets. Nat. Mater., 2008, 7, 729-734. Ohkoshi, S.; Takano, S.; Imoto, K.; Yoshikiyo, M.; Namai, A.; Tokoro, H. 90-degree optical switching of output second-harmonic light in chiral photomagnet. Nat. Photon., 2014, 8, 65-71. Sato, O. Dynamic molecular crystals with switchable physical properties. Nat. Chem., 2016, 8, 644-656. Zappe, L.; Lochenie, C.; Martin, T.; Weber, B. Iron(II) Spin Crossover Complexes with Schiff base-like Ligands and 4,4’-bis(pyridyl)urea. Open Chem. J., 2019, 6, 10-18. Mikuriya, M.; Yamakawa, C.; Masuda, N.; Yoshioka, D.; Yamaguchi, S.; Yamada, H.; Mizuta, T.; Kawata, N.; Tanaka, H.; Handa, M. Dinuclear Copper(II) 3,4,5-Tri-O-benzylgallate. Open Chem. J., 2019, 6, 19-26. Hagiwara, M.; Kida, T.; Matsuda, K.; Kyakuno, H.; Mniwa, Y.; Honda, Z.; Sakaguchi, Y.; Tashiro, M.; Sakai, M.; Fukuda, T.; Kamata, N.; Okunishi, K. Magnetic properties of one- and two-dimensional functional materials: Oxygen molecules encapsulated in single-walled carbon nanotubes and copper ions embedded into phthalocyanine sheets. Open Chem. J., 2019, 6, 27-37.